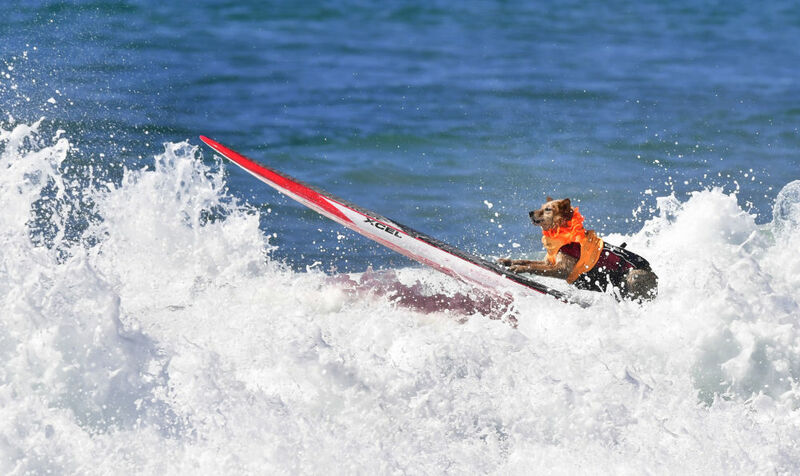 A surfer rides a wave with surf dog Giselle during the 10th annual Surf City Surf Dog contest in Huntington Beach, California on September 29, 2018. 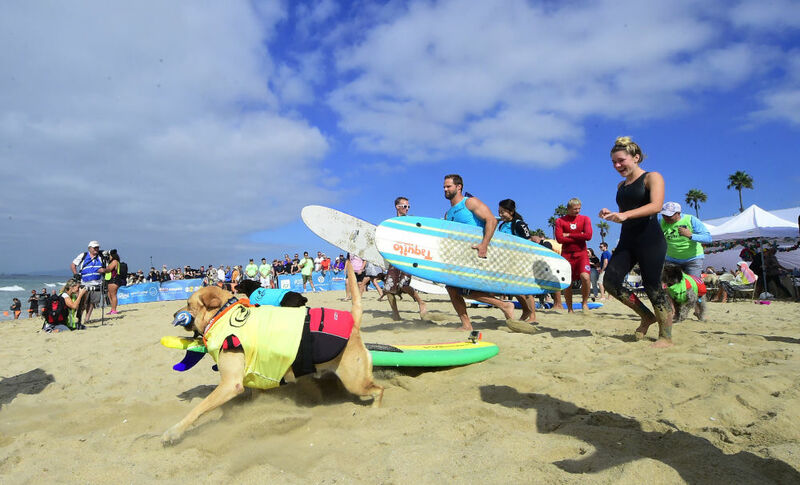 More than 500 dogs of various breeds and sizes participated in the 10th annual Surf City Surf Dog competition. Some of the participants came from abroad, from countries like the UK, Brazil and Canada. 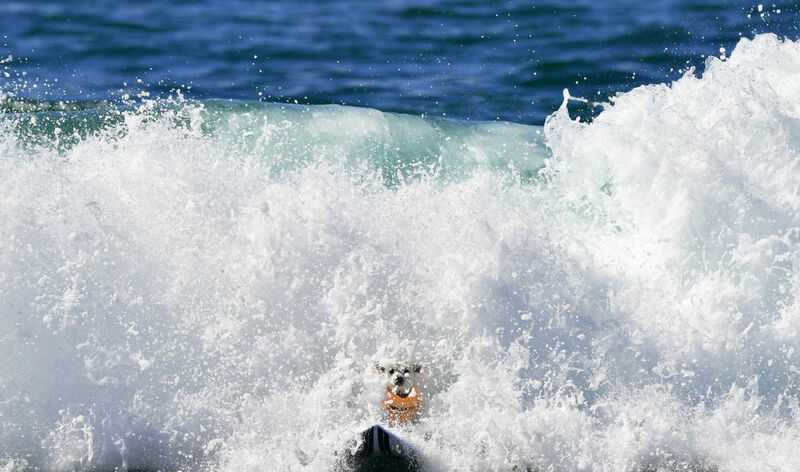 The judges' decisions depended on the size of the wave, difficulty of the surf and riding an open face wave as opposed to a whitewater wave in several categories.